Portland, Oregon, is a city filled with the sights and sounds of families, multiple cultures, and a community whose members care for one another. Visitors to this region are normally struck not only by the number of things to do and see, but by the way that the citizens come together as a community. Whether you are visiting for a short holiday or staying indefinitely, it is easy to make yourself at home in Portland. Located in the Willamette Valley, Portland is the largest city in the state of Oregon, with more than 600,000 residents and counting. They utilize a commission based government system with a small commission appointed by the voters. The commission members serve as the voices of the communities and work together to regulate finance, public affairs, and other important aspects of running the city. It may not offer the warm climate of the state of California down below, but Portland provides mild weather year round with dry heat in the summer season and plenty of cold rain in the winter time. It has been noted by local hobbyists and botanists alike that this is one of the finest cities in the United States to grow roses. The warm summer and rainy winter days keep the city blooming when other more northern states find themselves struggling under the threat of frost as the winter months creep in. The spring and summer months are generally dry, making it easy for locals to enjoy the many outdoor activities across town. Residents of this community prefer to bike and walk whenever possible, and with so many outdoor markets and festivals, this kind of climate is suitable for the lifestyle adopted by the city residents. Among the many things to do in Portland, Oregon, visitors will notice that the city comes alive during holidays. From the Turkey Trot to Lights on Leashes, the community helps bring together families from all backgrounds and cultures. December sees the city light up for the holidays and offers a bike tour through the glowing streets and city side-paths. 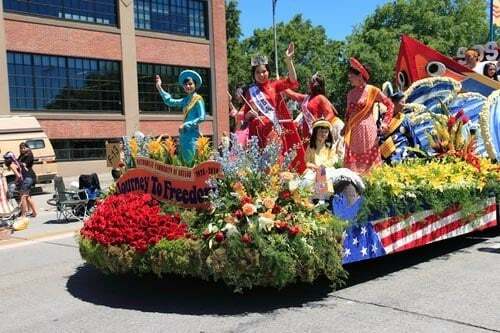 Summertime brings the Portland Rose Festival, allowing locals to celebrate the beauty of the flowers with music, a parade, and various family friendly events across town. This normally takes place between May and June when the roses are in full bloom. Other summer events include the Portland Pride parade and party, Lake Oswego Festival of the Arts, the Portland International Beer Festival, Flicks on Bricks which offers free movies outside, and the July 4th celebration. When people travel, it is inevitable that shopping will also ensue, and Portland offers some of the best outlets, malls, and local markets available. One other aspect that sets Portland apart from other cities across the United States is that shoppers here are not required to pay sales tax. Tax free shopping brings in tourists from many nearby states and others from across the country seeking treasures at a discount. Outdoor markets offer plenty of opportunities for unique items and meal ingredients fresh from the sea, farm, or forest. A new trend hitting the streets of the city are Pop up Shops which appear as if out of nowhere for tourists and locals to browse and buy before they move on to other towns and states, or pop up elsewhere in the city later in the week. At first, this sort of movement was seen mostly in food trucks and pop up restaurants, but pop up shops are becoming more popular as small businesses grow. A city with many activities, you will be happy to know that Portland, Oregon, also supplies a variety of family friendly events and attractions as well. 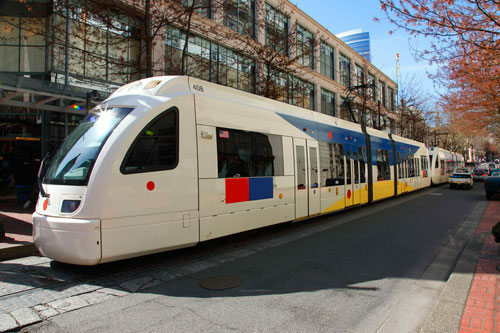 The MAX light rail train ride brings many children ages 0-10 an exciting ride to Washington Park Station, and the nearby Portland Children’s Museum. Here, the little ones can check out a number of hands on learning activities and other wonderful exhibits to bring the family together. For older kids, the Oaks Amusement Park provides thrills and chills with wholesome retro amusement park fun. Old fashioned roller coasters, go-carts and roller skating are available. Glowing Greens, another nearby attraction, gives golfers the option to mini-putt with 3D glow in the dark fun. 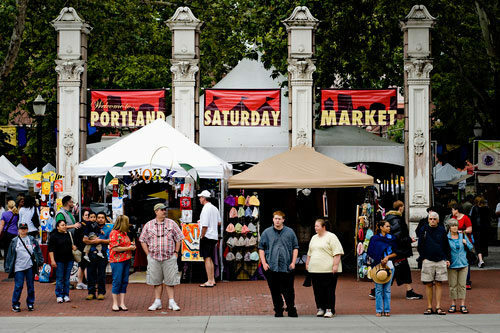 Other teen attractions can be found at the Portland Saturday Market and Kerr Bikes rentals. Although all of Portland offers sights and sounds that should be witnessed by the average traveler, there are some very specific areas that every visitor needs to have on his or her “must see” list. Mentioned above, the Portland Saturday Market is not your average run of the mill farmer’s market. It is the largest open air market in all of the United States, with live music, savory smells, local delights, and hundreds of crafts and handmade items that are sold every week. Powell’s City of Books is another location that tourists should have in their itinerary. It may be a used book store, but it is far from ordinary, with rows and rows of interesting reads stacked into three thousand and five hundred unique sections. At the last count, the shop held more than one and a half million books, and continues to grow in size. 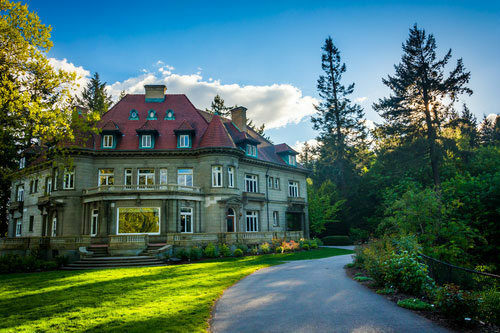 The Pittock Mansion is another great place to set your sights on if you are looking for something original and outside of the norm. Located in the West Hills section of the city, the mansion is a historical and architectural landmark of Portland. The mansion is open around the calendar and charges admission to see the 23 rooms, which provide stunning views of nature which surrounds it. It stands for Portland’s past and ties in with its future as well. The real estate market in Portland is always moving and growing, allowing for the many visitors who want to become residents to find houses, apartments and condos which suit their lifestyles and family sizes. Whether you are seeking one level living in an upscale luxury building, or a two story house with a large backyard, there is something in Portland for every taste. Those seeking family living with larger outdoor spaces may need to choose something closer to the outer city limits, but the city itself provides plenty of opportunity for affordable living if you are willing to do the leg work. The best way to get started on finding living arrangements in Portland is to choose an area that is most suitable to your needs. Visit the communities, speak to locals, check out upcoming events and nearby businesses, and then speak to a local realtor about how to get a viewing. Renting in Portland can be highly affordable, but prices vary by a wide range, allowing for cheap minimalist living, or large scale luxury living depending on your budget. Whether you are visiting or planning to stay forever, you will need to know how to get around Portland in order to enjoy the many events and businesses around town. Fortunately, the city provides a number of options such as the MAX light trail city train, Portland street cars, the metro bus service, and, of course, the many bike rental businesses across town. Some choose to travel the city on foot, using taxi cabs to take them from one section of town to the next, but taxis are normally more expensive than other alternatives, especially if you check out the deals and packages on bus and train tickets. If you need more information on Portland before you set off for the city, there are a number of publications which you can use to get acquainted. One Portland Zine, titled “The Abridged Guide To The Finest Wintertime Deals In The City Of Portland”, offers a brochure of sorts with a few of the must see attractions of the city, along with some freebies to enjoy. Other Zines such as, “P Is For Portland (and other letters)”, “MAXimum Portland” and “Hey Portland” also shed some light on this city and its many attractions. The official city website offers a glimpse at upcoming events, nearby activities, and ways to get involved in the city. It also gives new residents information about parks and recreation, waste removal schedules, volunteer opportunities, and more. A melting pot of culture and history, the city of Portland is a great place to visit or stay and plant your roots. It offers some of the best of what this country has to offer, with big city opportunities and small town community spirit. With so much to do and see the entire year round, and the optimum climate to enjoy these, Portland will continue to blossom and grow as tourists from around North America and the world come to see everything that makes Oregon such an amazing state. If you are planning a trip to Portland, check for new events which may be occurring during your stay. Planning your vacation around city festivals and fun is well worth the effort, and will make your stay all the more enjoyable. 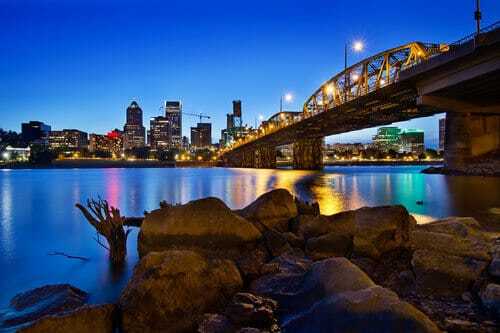 I love living and working in the Portland metro area as a web design Portland and Portland SEO Company. Not only is it a great place to visit but it has beautiful seasons and a wonderful and affordable place to live.